Michael Conway is an Astron Solutions Senior Statistical Analyst. Mike conducts a variety of compensation analyses to meet our clients’ diverse needs. He market prices an assortment of jobs and develops employee compensation structures involving the configuration of pay grades & ranges. Mike runs salary compression and costing analyses to solve wage inequalities, while assisting clients in decision making or other financial initiatives. Mike also conducts quality control for inaccuracies and inconsistencies in employee survey data received. Prior to joining Astron, Mike worked for Upstate Insurance Brokerage Service. As an Agent Assistant, he interfaced with independent insurance agents daily, advising them on proper documentation to be completed and supplying proposals from numerous life insurance providers. Acting as a liaison between the insurance companies and agents, Mike monitored the underwriting process of policy applications on through approval and prepared policies for distribution. He also resolved client issues and concerns to effectively meet their basic needs. 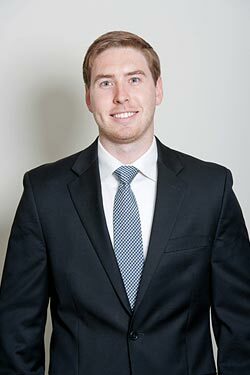 Mike also has worked as a Trading Intern at Cadaret Grant & Co., Inc. where he provided overall support to the trading department in reviewing trade blotters and approving new account forms. During his time as a Trading Intern, Mike also reconstructed the company’s abandoned property procedure and analyzed commission trends on equity trades. Mike holds a Bachelor’s of Science in Finance with a minor in Business Management from Niagara University. He also holds a New York State Life, Accident and Health Insurance license.